This blogger uses paid affiliate links, accepts payment for advertising space; and accepts product, payment, or other incentive for reviews or sponsored posts. I will always attempt to disclose the latter whenever applicable. I get paid a referral fee or percentage for purchases made through links, discount codes, or ads I've posted, and possibly pay-per-click, or pay-per-X-clicks. There is no additional fee incurred for purchasers. 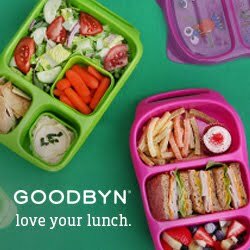 I get a portion of sales through Amazon, Laptop Lunches, LunchBots, AllThingsForSale.com, new MOMables subscriptions, monbento and Lunchbox Love (if you use my code, MAMABEL at checkout.) I get a flat-rate referral fee for new NatureBox subscribers. I give my opinions freely, and I'll try and be open if/when I get compensated. If I don't disclose something, it's because it didn't occur to me to do so, and not because I'm trying to deceive anyone. This blog is a personal blog written and edited by me. For questions about this blog, please contact nina@mamabelly.com.